I do like this bag, it’s a faux leather spiked bag. 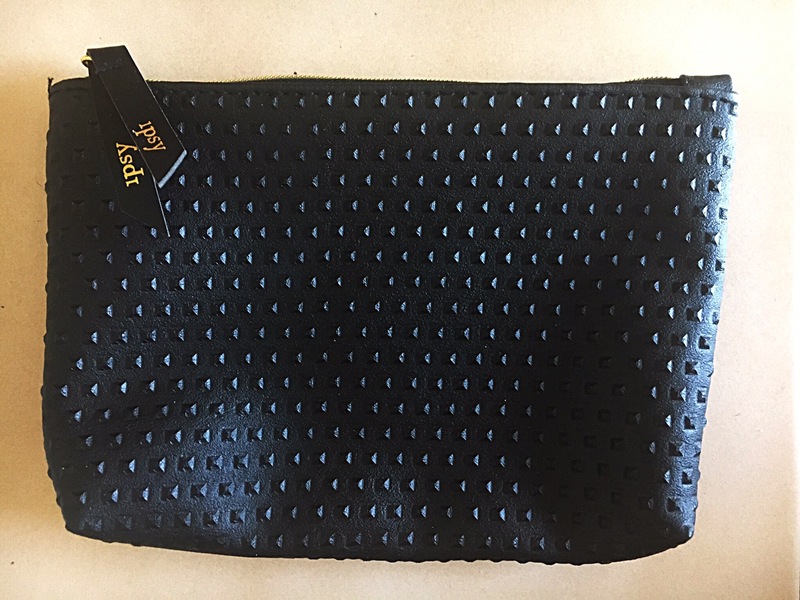 I have used this bag multiple times as a wallet, a make up bag or just something to put stuff in. 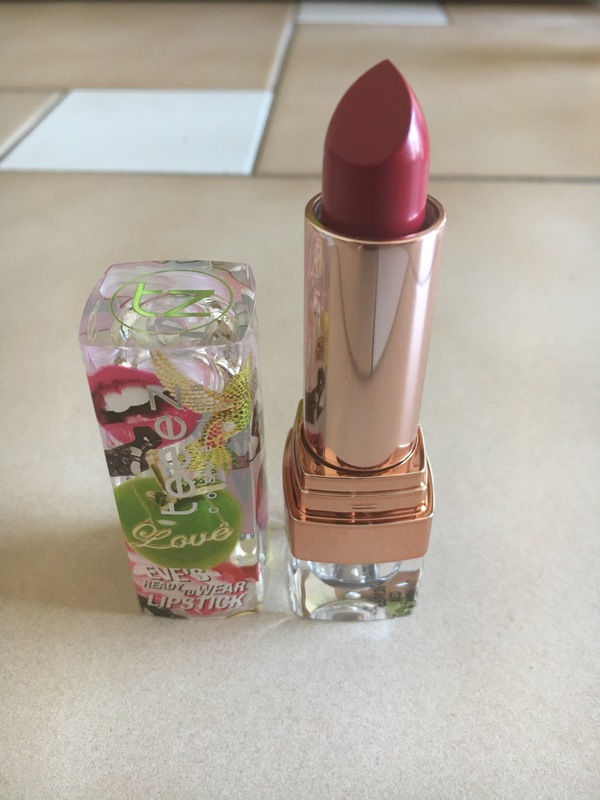 Teeez Cosmetics Eve’s Ready to Wear Lipstick in Romantic Red. Tarte deluxe lights, camera, lashes 4 in 1 mascara. I wore my this as a highlight and I liked the soft, subtle, glowy, dewy it gave. 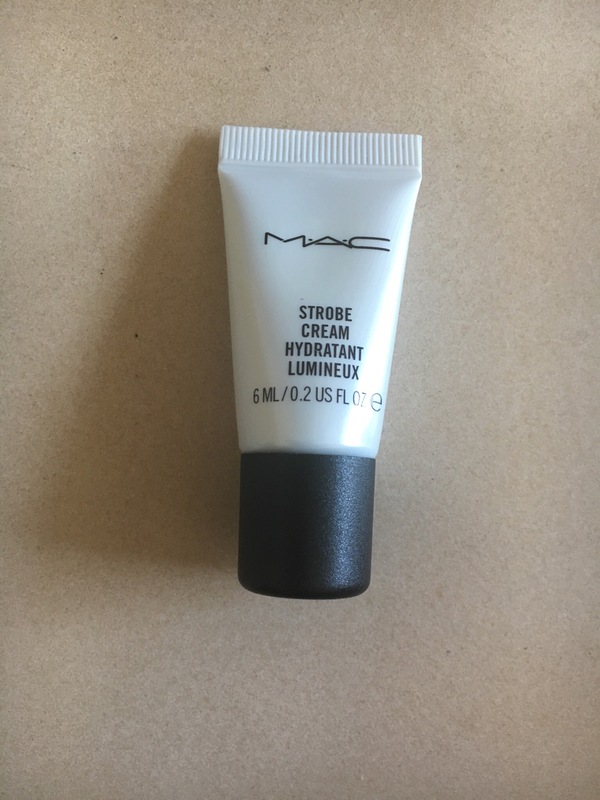 It is a cream based so I did find that it took off a little of my cream based foundation once I applied it. I only applied a small amount and that is probably why it was a subtle highlight but I’m ok with it being soft and subtle. Another trick I have learned is to mix it into your foundation for a fresh dewy look and it really does become a ‘Snapchat filter for your face,’ again it depends on how much of it you use. 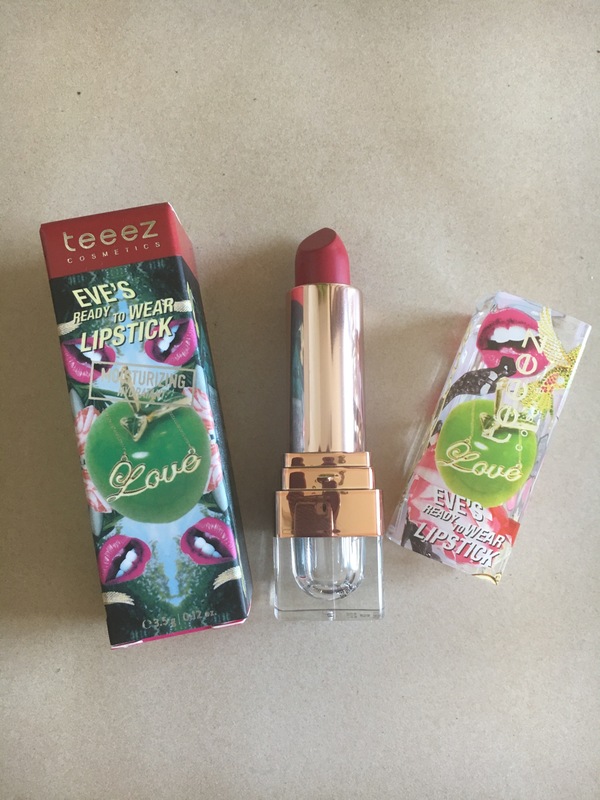 Teez Cosmetics Eve’s Ready To Wear Lipstick. Teeez has been a brand I have been curious about. Every time I go to my local mall and inside The Hudson’s Bay store as I take the escalator up and there is a Teez booth beside the escalator and I walk by it every time. I have stopped and browsed but never bought anything or tried anything, so I was thrilled and excited to finally try their lipsticks. First of I’m in love, no like seriously this lipstick is a dream. It’s creamy and moisturizering but it’s matte, yep those words don’t usually go together but they do here. This lipstick is basically budge- proof and smudge-proof. I drank hot coffee, and ate a greasy meal and this lipstick didn’t move from when I applied it. I also found this bold colour to be completely wearable for day, but that might be influenced by my love of bold lippies. This brand has been kinda sort on my radar before but now they are a definitely on my mind radar and a brand to watch. I actually do like how this works and makes my skin feel afterwards but it has an extremely horrible smell. No it doesn’t smell like rotten eggs but much worse. It has a very strong ‘Industrial smell’ it’s hard to explain but it is a very strong and offending smell and it lingers on your face after washing with it. 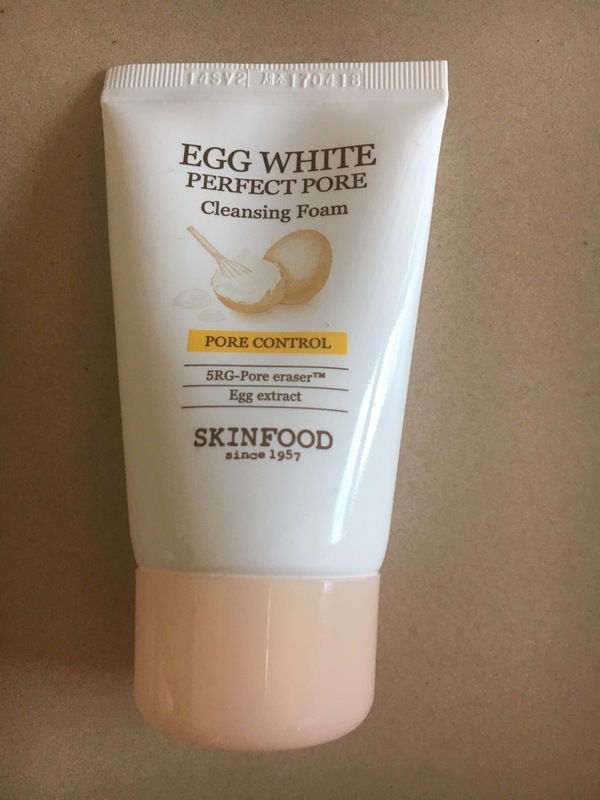 The product works amazingly and I do like the results but I can’t get past the smell. Normally smells and even perfumes in products don’t bother me too much but this one is offending and it ruins an otherwise good product. Now I hope they will change the smell or make it more of weaker scent or even if it disappears after using of it would be a truly great product. At first glance this is a blah colour. I wasn’t blown away and wouldn’t even consider it a nice colour. I decided to wear it anyway, I have to test it out and it surprised me. In the bottle it looked like regular kinda blah grey colour. 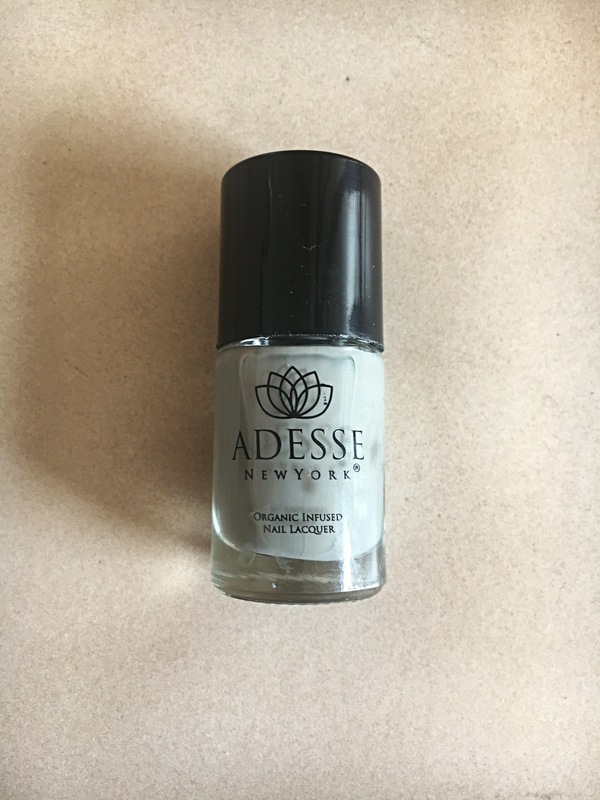 On my nails it became a greenish tone grey, almost like a dirty grey colour. I don’t think I even own something similar. I might not have picked this colour up myself but I’m glad Ipsy sent it in my Glambag and it definitely looks good on my nails and I do like the results. It promises to lengthen, curl, volumize, and condition your lashes. It does all that but it’s not an overtly noticeable mascara. I call it a great everyday mascara. 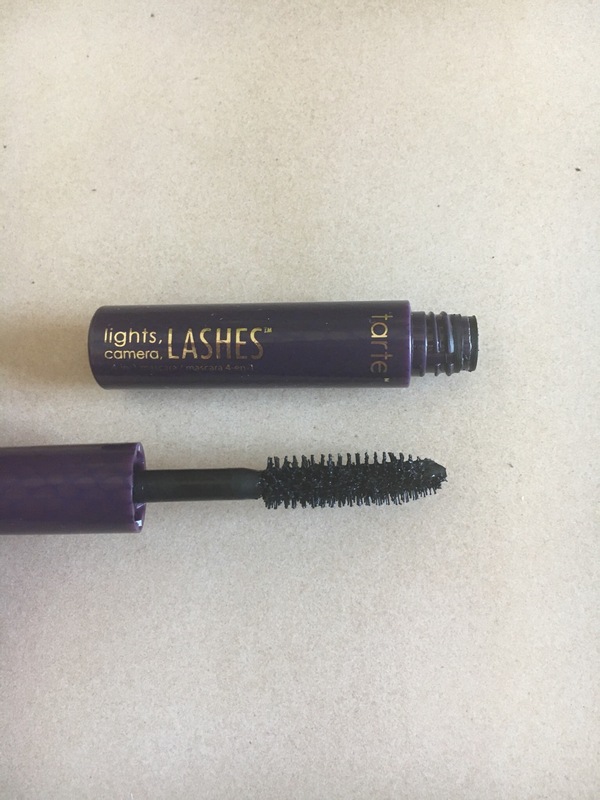 It gives lashes that little nudge for daytime but it’s not excessive. It doesn’t clump and that wand separates every lash. Overall I really like this bag too I am loving or liking 4/5 products and have and will continue to use them.